When I was 10, we came home from a party one night with a filthy and tick covered puppy who was fearful of tall men. Buffy had her quirks, but we loved her. She was a patient and gentle soul who could be full of energy and playfulness when you wanted her to be. When I visited my parents in late June this year for my birthday, Buffy was approaching 15. She had a stroke a few months prior but looked to have made a full recovery. 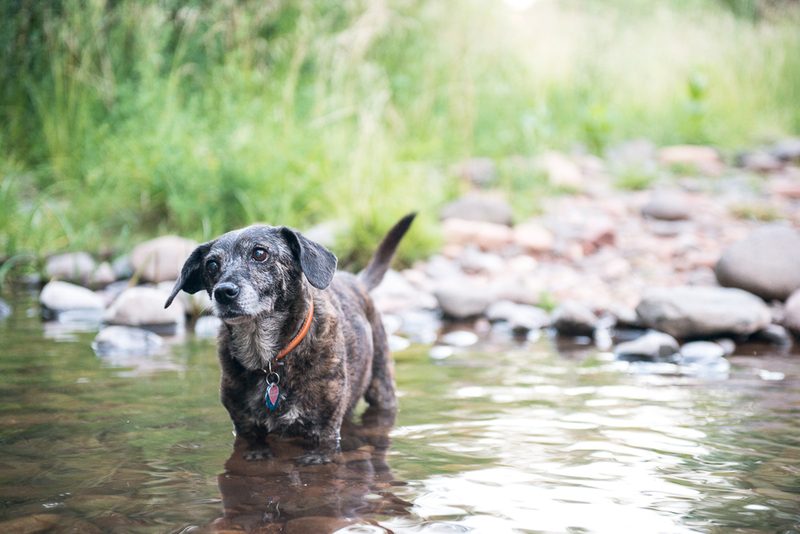 Old age had nearly taken Buffy’s hearing and sight, but she happily joined us on a hike along Oak Creek in Sedona which is where I took this picture. It was earlier this month that Buffy developed a tumor on her throat. I thought I’d have a chance to see her one last time for Thanksgiving but the cancer was aggressively metastasizing. My parents made the difficult decision to put her down before it got any worse, scheduling the appointment for this morning. My mom said she was peaceful and left this world quietly.